For example, you may have an investment that has an unrealized loss and is tax-inefficient. Selling it now won't change your 2017 tax bill, but it will help lower your taxes in 2018 and beyond, he says. It’s also too late to make 2017 contributions to your 401(k) or 403(b) plan, but if you’re skimping, boost them now. 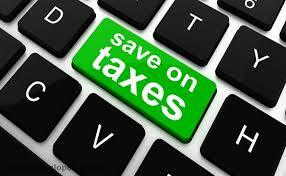 “Nevertheless, some people will see their taxes increase. It’s important to get a handle on how tax reform will affect you,” he says. Some people can do this calculation themselves. But because of the complexities of tax reform, many will need a knowledgeable tax preparer to help them, Jacobs says. If you pay estimated taxes quarterly, you should calculate your expected 2018 taxes so that you won’t overpay, he says. In general, to qualify for the full deduction, your taxable income must be under $157,500 for single filers or $315,000 if you're married filing jointly. C corporations do not get the new deduction, although the top federal tax rate for C corporations has been cut to 21%. If you’re the owner of a C corporation, it’s wise to investigate if converting to an S corporation or LLC would be worthwhile, and vice versa, Jacobs says. If you paid alternative minimum tax in 2017, it’s unlikely that you will come April 2019. It’s estimated that the number of taxpayers hit by AMT will drop by 96 percent, he says. “Once you know your situation, then you can make some savvy tax-planning moves,” he says. “Instead of making annual charitable contributions that aren’t deductible, you may choose to make several years’ worth of contributions in one year to get a tax benefit,” he says. If you want to give money to your favorite charities every year, a donor-advised fund may be the perfect solution. These funds let people make charitable contributions, receive an immediate tax benefit and then recommend grants to charities from the fund over time, Jacobs says. Check your payroll withholding to make sure you're not paying too much or too little during the year, Jacobs advises. The withholding tables that employers use have changed, and many people are finding that they need to adjust their withholding allowances in order to avoid a bad surprise next year. The more withholding allowances you claim, the less tax will be withheld from your paycheck. Jacobs is chief investment officer of Palisades Hudson Financial Group, based in its Atlanta office. The firm is a fee-only wealth management, financial planning and tax-advisory firm with $1.4 billion under management.